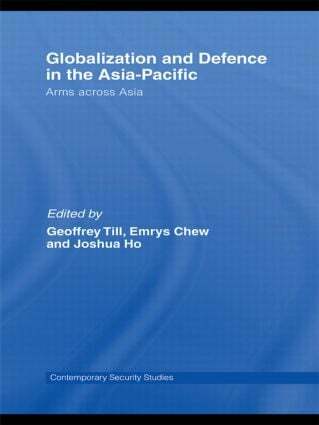 This edited volume examines the impact of globalisation on the economies, security policies and military-industrial complexes of the Asia-Pacific region. The work is structured into three main parts. The first explores globalization and its general effects on the policy-making of the nation-state; the second section looks at how globalisation affects a country’s threat perception and defence posture within the specific context of the Asia-Pacific region; while the third explores how it impacts on a state’s allocation of resources to defence, and how economic globalization affects the defence industry, with specific reference to the procurement policies and practices of different states across the Asia-Pacific.